You’re never too old to have a child – just ask Steve Martin, Mick Jagger, Ronnie Wood, and many other celebrity dads who are choosing to become fathers later in life. While there is no ideal age that is perfect for every couple, having children at an older age has many benefits and also a few possible drawbacks. And you certainly don’t have to be a celebrity or a dad to consider starting a family beyond your twenties and thirties. In fact, because of various reasons including being caught up in their professional lives, many people are realizing it doesn’t have to be one or the other, and despite focusing on their career for years realize they have not missed the chance to have kids. With that in mind, along with the current fertility technology and the possibility of adoption, many are pursuing that goal in their forties and even fifties. If you are in a new relationship with an older or younger partner, or you’re older and finally ready to enjoy the joy of parenthood, or you have kids with an ex-spouse, but want to share that experience with a new one, there is still time. Here are a few things to consider while you contemplate having kids later in life. On the positive side, waiting to have a baby means there is more time available to pursue your career before settling down. It gives you the chance to focus on work and achieve the goals you set for yourself without feeling guilty that you don’t have time for a child, or weighed down by the details of taking care of your family. Additionally, because you were able to fulfill your life dreams you may be more content and relaxed when you are faced with the additional responsibilities that come with parenthood. Furthermore, being older parents can also mean more financial and emotional stability for the kids, as well as a higher level of wisdom and teaching that comes from extra life experience, along with resilience and stamina which are essential qualities in a good parent. And of course, what better way to bring youth back to your home than to have a baby? Of course the family dynamics do change somewhat the longer you wait, but there’s something to be said for getting the most out of the first chapter of life before starting the next one. On the flip side, though, there are a few other things to keep in mind. In truth, one’s physical energy level is not the same when you’re older as when you’re younger. Being able to deal with the high demands and energy level of children themselves is something to be aware of. Of course, there is always the option to reach out for childcare support, no matter what age you are, when you become a mother or a father. Even more serious is the hope that one will live long enough to see their children reach different junctures in life – high school graduation, a wedding, the birth of a grandchild. The older you are, the more this might come into question. Mortality can be something that enters into the picture when the decision is made to have children at a later date. In the end, you have to consider the pros and cons of bringing a new person into the world at any time in your life. 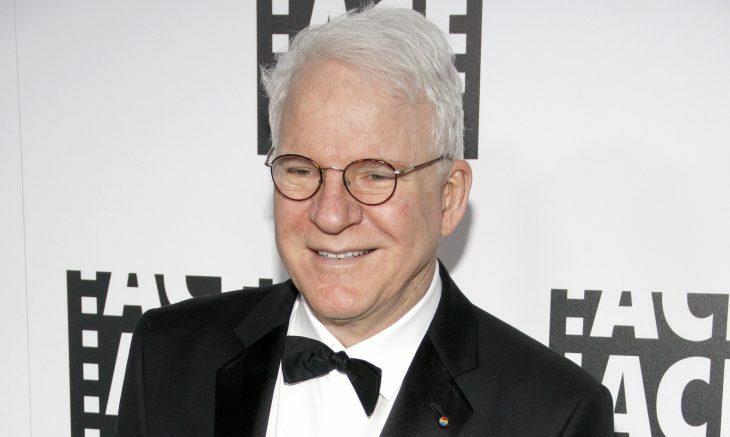 Why not do it when you are more established and more grounded in the world, just like Steve Martin and the other celebrity dads did? It might be as good a time as any, especially if you missed the chance at an earlier stage.